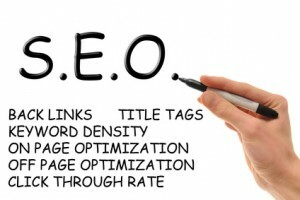 Keyword Density is one of the famous SEO terms representing the ratio of times a particular keyword or keyword phrase has been used in the writing, compared to the whole document. In other words, it tells you how frequent a keyword is stated in the writing. In the late ‘90s, keyword density was the main criteria search engines used to assess relevancy. The higher the keyword density meant the more the relevancy, up to a certain level (about 7 percent was the red line of search engine spamming). But today, keyword density is just one of the side factors of relevancy measurement along with anchor text linking, domain’s age, popularity, visitors’ count, etc. Although spamming is not totally defected by search engines, SEO experts often glance at keyword density to avoid over-optimization (keyword-stuffing) of their publications. Most of the article sites have a certain threshold of keyword density to announce an article as promotional, which neither search engines nor SEO companies like. How Do I Measure a Key Phrase’s Density? Using the famous keyword density formula (keyword occurrence ÷ total words x 100 percent), you can determine the percentage of a certain keyword’s density, but today there are some cool prefab SEO tools for this, called Keyword Density Tools, that enable you to measure a certain Web page’s keyword frequency or abundance. Some of these tools depict the results by a list of mostly used keywords and some others show a keyword cloud. WordPress especially presents a plug-in for your WordPress blogs for illustration of the keywords or tags cloud. This cloud consists of a mass of tiny and giant keywords where bigger words represent higher density. What Do I Do to Decrease a Keyword’s Density? Headings, repeated, bolded and italic words in a text will be counted as important by search engines. So a highly styled, excessively keyword-stuffed document is more likely to be punished by the search engines by dropping in page rank. You should never use excessive styling to highlight a keyword for search engines or readers. If your document shows a high frequency of a certain keyword, you can either use other forms of the word, or use its synonyms to decrease the frequency. Note that excessively keyword-condensed documents will sound unreasonable when read by a real human and thus losing traffic will be minimum of the consequences of this malpractice, so keeping the keyword density between 3 to 7 percent by the optimizer will make it easy to use for Web users and search engines, and consequently result in better page ranking. Great post about keyword density! Magnificent items from you, man. I have bear in mind yourstuff prior to and you\’re silmpy extremely fantastic. I actually like what you\’vebought here, certainly like what you are saying and the bestway in which you are saying it. You\’re making it entertaining and you continue to take care of to keep it smart. I can\’t wait to learn far more from you.That is actually a great web site. You\’re welcome amigo! In fact, keyword density shows if a particular webpage is suitable for a certain keyword or not. That\’s the only way Google, Yahoo and Bing can assess the content of a page and relate to certain keywords. Glad you found it useful. I think keyword density have strong place in SEO. you must don\’t write your content with a high keyword density in mind or it will sound unnatural. Google is on the lookout for keyword stuffing. 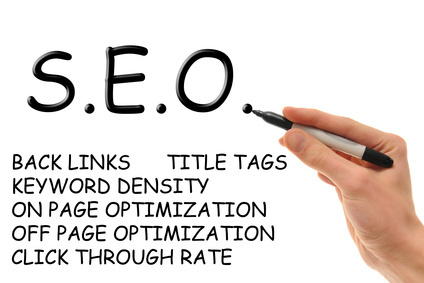 Keyword Density is most important part in SEO. I have reviewed your website which is good and colorful. thank you for sharing. Its a nice information about keyword density. \”Headings, repeated, bolded and italic words in a text will be counted as important by search engines.\” interesting I didn\’t know that search engine would care about italic or bolded words. Thank you. Really keyword density have strong place in SEO. When we write the content if we don\’t manage keyword density then that content is not unique and quality content. @ Maryam, I am one way with you, but what about the opinion @ Amin is a natural way, can you please tell me, .. and how long it took us to get those keywords in a natural way it is, ..
@Maryam Yes, styling is no less important than link building in the eyes of search engines. The best way is the natural way. @ARISE SUKAMTO Yes! Read this SEO Blog. \”Avoid over styling the content\”, very useful and useful tools are introduced. However i don\’t like Keyword Cloud idea, it\’s very messy and can\’t give an accurate picture. Great info, thanks for sharing. Thank you for providing the sensitivity comparison for Yahoo and Google. The article really helps deciding the right keyword density by the formula provided. Keyword Density Tools. Thank you!!! If I want to know about SEO. Can you explanation to me.